But that’s the thing about con mans. The good ones were good at, well...the con. One of the great things about a new series from Lauren Layne is that we can look forward to really getting to know the characters in future books too – and having read this one, met the other Wedding Belles, and got to know a little bit about them – we are definitely in for some more treats to come! Brooke's discovery of New York and her new realities after leaving ever warm LA is a lovely feature of this book, and gives everyone a chance to experience some of the realities of that life. The reason that she had to leave LA is a difficult one, but she is brushing that under the carpet and moving on...which may not be as easy as she hoped. Her immediate attraction to a surly man who is a workaholic is not helping – or is it? I love the interplay between them. It has some clichéd elements, but they are in context and work well in the story. Seth is a man who has to solve everything for his nearest and dearest, and his father's death and his sister's upcoming wedding have him uncomfortable. Throw in the attraction for the wedding planner, and he is in trouble. As their story unfolds, it is very romantic, passionate, sometimes frustrating, and definitely entertaining. 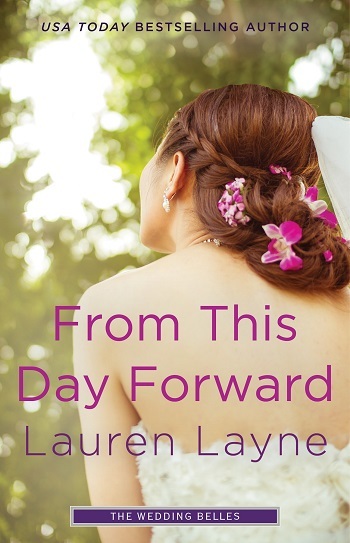 I am always grateful that Lauren Layne gives us good long novels, and then all too soon, I have finished... because to be honest, everything else (sleep, eating, even coffee) takes a back seat as I keep turning the pages. Of course there was last page regret, but at the same time, so worthwhile. Now I am living in anticipation of the next one – and trying to decide who will be the next leading lady. The author had some really solid plot points in this book as well as a few that just didn't quite fit, in my opinion. 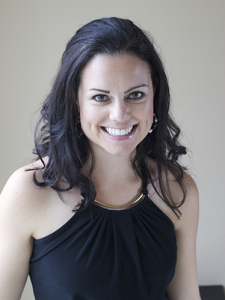 Brooke, wedding planner extraordinaire until her fiancé is dragged from the altar in handcuffs, is looking forward to her new job in New York City with the Wedding Belles. When she meets her first client in the city, she's awed by how "perfect" the groom seems to be and is tuned in to everything the bride wants. The one thing she finds annoying is that the bride's brother, Seth, is determined to think that the groom is less than what he appears. I understand that planning weddings should be a place where the workers/employees are supposed to always put on a happy face, it seemed false to me that Brooke would forget what had only recently happened to her and be completely oblivious to the signs that things are quite what they seem. It also surprised me that Brooke felt that her privacy was violated when Seth had a private investigator look into her ex. One of the premises of this book is that Seth Tyler is the CEO of a major hotel chain, and has more money than he can spend. Why, in this day and age, would he not want to protect the woman he cares about by making sure the ex stays firmly away from Brooke and in her past. The romance part of the book is quite inviting, it’s just that the reader has to go through a lot of angst to get there. Lots of little things added up to me giving this book a three-star rating. 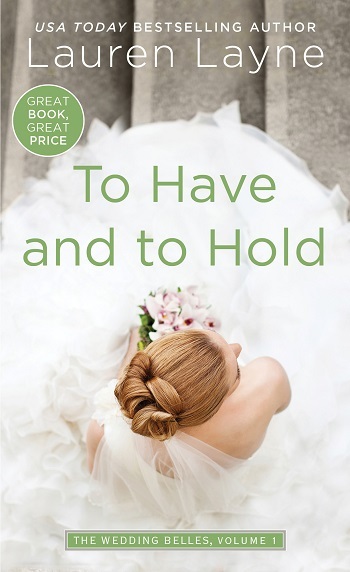 Follow the To Have and to Hold Blog Tour HERE. Reviewers on the Wicked Reads Review Team were provided a free copy of To Have and to Hold (The Wedding Belles #1) by Lauren Layne to read and review for this tour. Thank you for sharing your reviews!